for your safety! - All rights reserved. 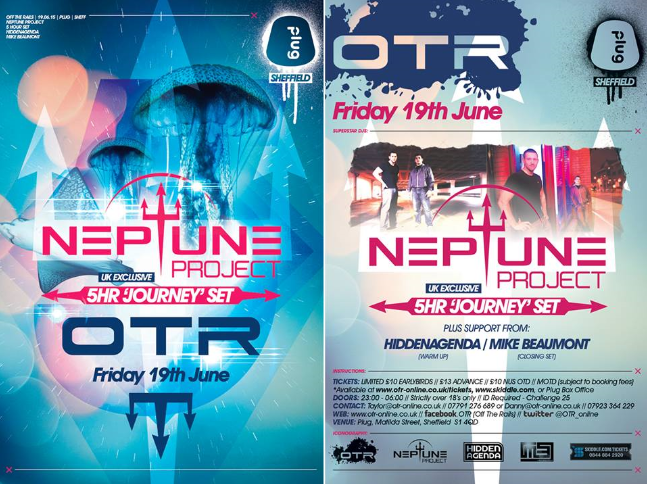 Straight off the back of a hugely successful 8th birthday event we bring you yet another UK exclusive... the eagerly anticipated and heavily requested NEPTUNE PROJECT 5HR 'JOURNEY' SET! Neptune Project, a trance duo from Swindon UK, burst onto the electronic scene in July 2009 when their second single, Aztec, was announced on BBC Radio 1 as ‘tune of the summer,’ by world number one DJ at the time, Armin van Buuren. Since then they have had tracks and remixes signed to some of the biggest labels in trance music; Armada, Future Sound of Egypt, Anjunabeats and Monster Tunes and have quickly become clubbers favourites and a permanent fixture on the tracklists of all the top trance DJ's and beyond.